For more information about what is available for advertising choices, please see our Listing and Fee information. Every effort has been made to verify the accuracy of data on this website. Any errors are purely accidental and if you wish to point them out, please do so via the email address above. Please contact the business establishment directly to verify rates and other details. 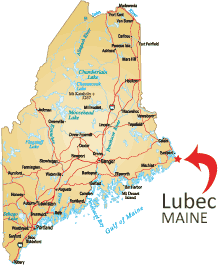 APPLE and VisitLubecMaine.com will not be responsible for errors or inaccuracies. All information shown is subject to change. 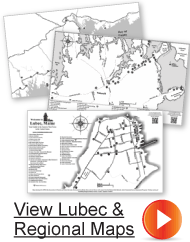 Lubec is the easternmost point in the continental United States. 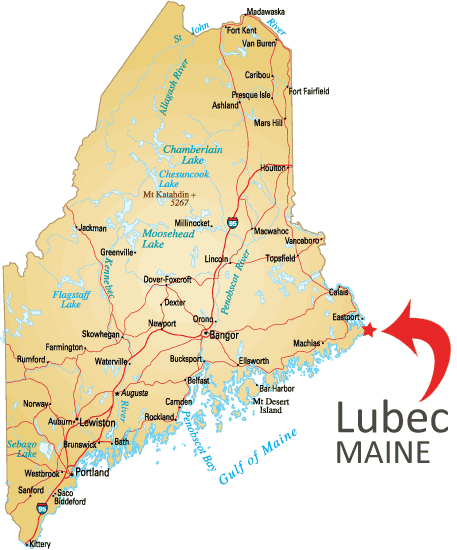 If you can visualize the map of Maine as the head of a dog looking out to sea, then you can easily find Lubec, which would represent the dog's nose. 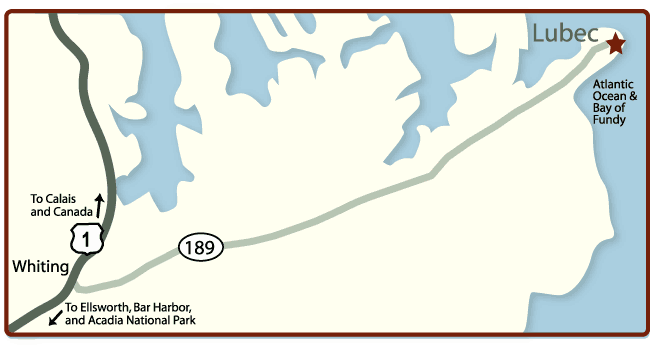 Visit our Transportation Services page for specific information.